Decoding Cyber and D&O Insurance: Are you protected? Each day, there seems to be another huge cyber-attack or another development in the #MeToo movement. It’s easy to say “glad that’s not my company” – but the truth is, data breaches and sexual harassment claims and lawsuits are happening every day, to companies big and small. having the right risk management strategy in place can makes the difference. Is your organization protected? Do you have the right policies and coverages in-places for when – not “if” – something comes up? 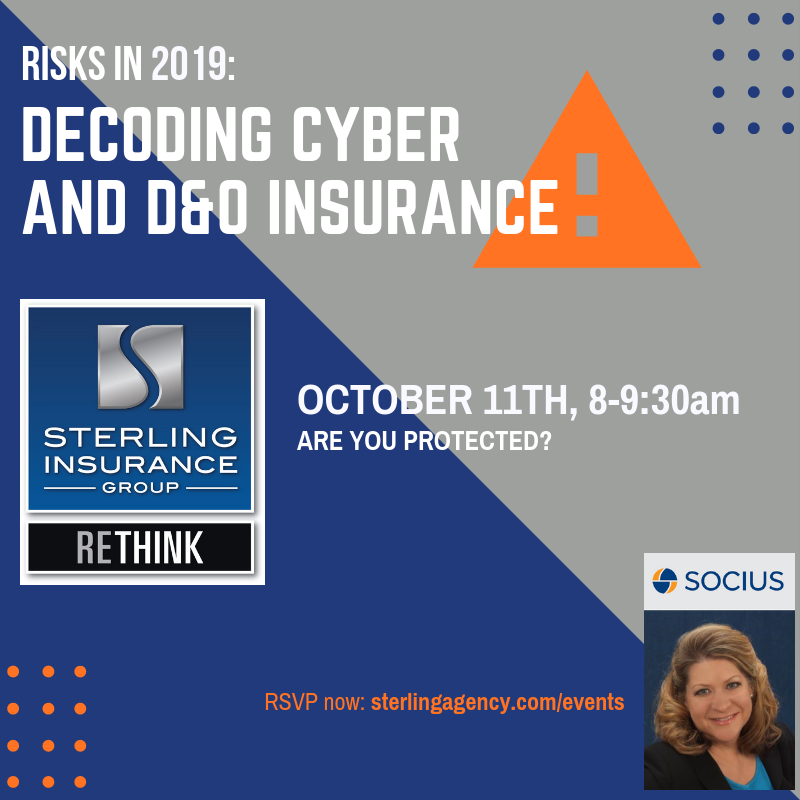 Join us as we bring in the expert in both fields – Cynthia Zimmerman of Socius Insurance – to decode Cyber and Directors & Officers Insurance on October 11th! This 90-minute event will provide an easy to understand overview of the cyber exposures businesses face today and the insurance solutions available to minimize the impact a cyber-attack may have on their balance sheets. You will hear about real claims examples and how the victims were impacted and protected (or not). This interactive course will allow ample time for discussion on those cyber issues that keep you up at night. Senior Vice President | Socius Insurance Services Inc.
Cynthia joined Socius’ Miami Beach, Florida office in August of 2009. She began her insurance career in 1985 at Britamco Underwriters/Preferred National Insurance Company where she worked in various positions, most recently as Manager of the Professional Lines division. After 14 years of company underwriting and management experience, Cynthia moved into sales and became a successful Manager/Wholesale Insurance Broker with national firm based out of Ft. Lauderdale, Florida and most recently with Socius. 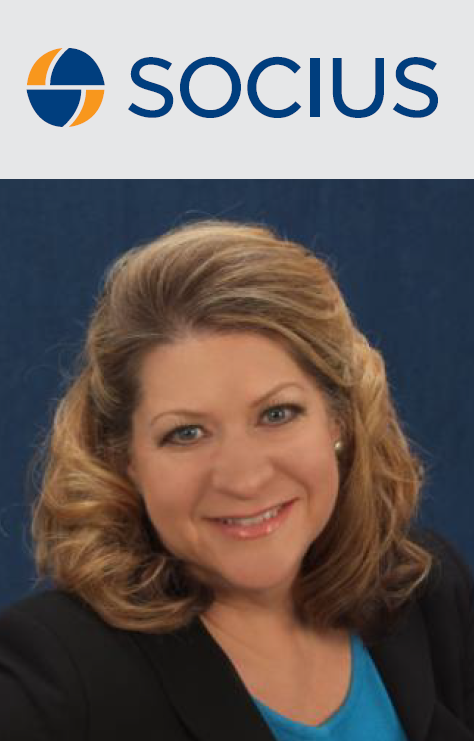 Cynthia, one of the world’s first 100 registered Professional Liability Underwriter (RPLU) designees, brings over 30 years of experience in all lines of Management Liability, including Cyber Liability, D&O, EPL, Fiduciary, Crime, Professional Liability, and Medical Malpractice. She has been certified as a Continuing Education provider since 2009. Cynthia has authored several articles and educational materials and is often a subject matter expert and speaker for various organizations throughout the country. Cynthia is an active member of the national PLUS organization, and currently is a member of the PLUS Southeast Steering Committee. In addition, Cynthia is an active member of the Independent Insurance Agents of South Florida.